Good Wednesday, everyone. 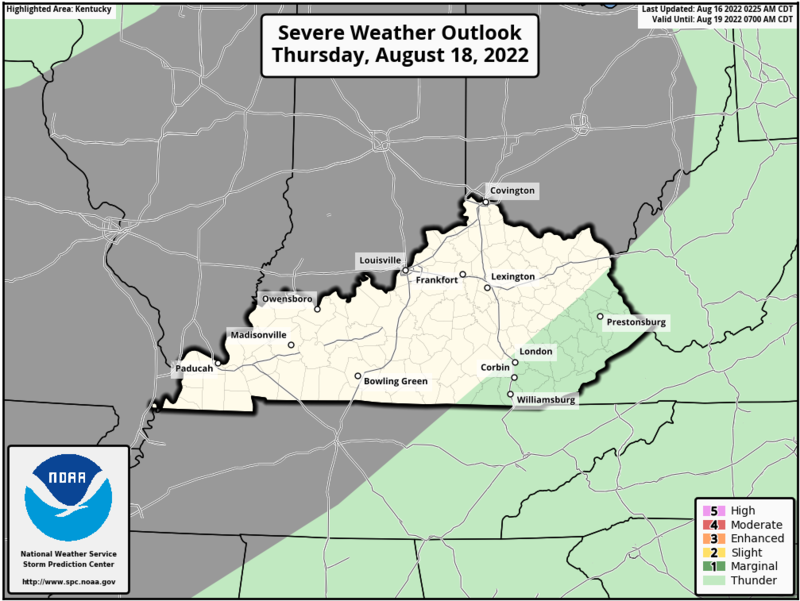 It’s another absolutely gorgeous day in the bluegrass state, but stormy changes are a brewin. A cold front brings our next chance for storms by Thursday night, with a much stronger system waiting in the wings for the weekend. Temps today are back into the 70s for most areas, but only upper 60s in the north. Skies stay partly to mostly sunny. Strong southwesterly winds increase for Thursday as a cold front sweeps our way. Temps ahead of this can make a run at 80 degrees. The front will fire up a line of showers and storms along and ahead of it. 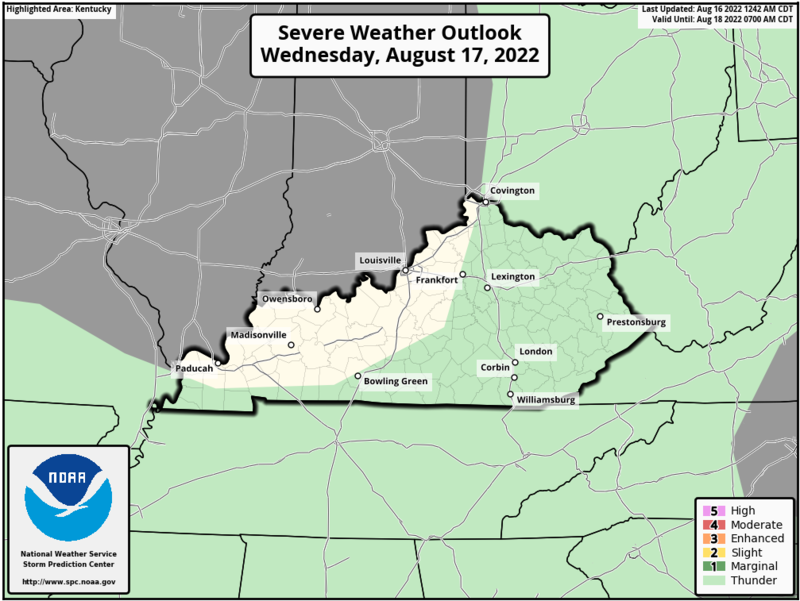 The best threat for strong to severe storms will be across areas of western and central Kentucky. Morning showers and storms on Friday will push away as the day wears on with partly sunny skies taking control. Winds are a big player with this system and may reach 40mph or greater. That nice weather carries us into the first half of Saturday, but a much bigger system rolls in quickly later in the day and takes us through the rest of the weekend. Showers and storms arrive from the southwest late Saturday and that may impact Thunder Over Louisville. Thanks Chris, I wish we could keep the VERY NICE Spring weather we are currently experiencing all the way through June. Not too wet, not too stormy, and most of all, not too dry for the rest of the Summer season. I hope the weather pattern changes for Autumn and Winter and we get more in the way of snowstorms during November through March 2020. But, currently the very long ranged forecast doesn’t suggest this will occur. Grain of salt time. My back yard is muddy again from the .78 of rain I got a couple of days ago. I need about two weeks of no rain to get seed down. It washes away before it can take root. The weather is great today and I just had concrete poured for my driveway. Sounds like you need to tile your yard ? Sorry if this sounds any way clueless. I see that Chris is posting only once daily. I know he has a lot of work and a life. I didn’t know if I missed something. Love your posts and updates! Thank you! During the Spring and Summer, when the weather slows down and gets nice, he usually only posts once a day, unless there’s bad weather coming. Thank you Jamie! Makes perfect sense! !